Google Trends reveals that at the time we were writing our article on ‘The Coming Crisis of Empirical Sociology’ in 2007 almost nobody was searching the Internet for ‘big data’. It was only towards the very end of 2010 that the term began to register, just ahead of an explosion of interest from 2011 onwards. In this commentary we take the opportunity to reflect back on the claims we made in that original paper in light of more recent discussions about the social scientific implications of the inundation of digital data. 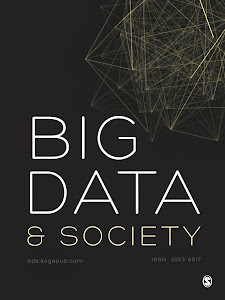 Did our paper, with its emphasis on the emergence of, what we termed, ‘social transactional data’ and ‘digital byproduct data’ prefigure contemporary debates that now form the basis and rationale for this excellent new journal? Or was the paper more concerned with broader methodological, theoretical and political debates that have somehow been lost in all of the loud babble that has come to surround BIG DATA. This brief paper thus offers a reflexive and critical reflection on what has become – much to the surprise of its authors – one of the most cited papers in the discipline of sociology in the last decade. The Snowden revelations about NSA surveillance, starting in 2013, along with the ambiguous complicity of internet companies and the international controversies that followed provide a perfect segue into contemporary conundrums of surveillance and big data. Attention has shifted from late C20th information technologies (IT) and networks to a C21st focus on data, currently crystallized in ‘big data.’ Affecting not only national security and marketing, but also health-care, finance, policing, democratic elections, education and research among others, Big data is seen as a political and business priority. Big data intensifies certain surveillance trends associated with IT and networks, and is thus implicated in fresh but fluid configurations. This is considered in three main ways: One, the capacities of big data (including metadata) intensify surveillance by expanding interconnected datasets and analytical tools. Existing dynamics of influence, risk-management and control increase their speed and scope through new techniques, especially predictive analytics. Two, while big data appears to be about size, qualitative change in surveillance practices is also perceptible, accenting consequences. Important trends persist – the control motif, faith in technology, public-private synergies and user-involvement – but the future-orientation increasingly severs surveillance from history and memory and the quest for pattern-discovery is used to justify unprecedented access to data. Three, the ethical turn becomes more urgent as a mode of critique. Modernity’s predilection for privacy betrays the subjects of surveillance who, so far from conforming to the abstract, disembodied image of both computing and legal practices, are engaged and embodied users-in-relation whose activities both fuel and foreclose surveillance. Rights to freedom and dignity appear more relevant than appeals to order and privacy.